More and more people have chosen to live the eco-friendly, go-green lifestyle. And, because of that, many manufacturers – including pool manufacturers – have made significant progress in developing environmentally-friendly swimming pools. Most folks, when thinking about a pool, imagine a powerful chlorine smell with sparkling blue water. Yes, chlorine is a wonderful chemical that eliminates the undesirable substances in the pool and keeps it looking clean. But, truth be told, chlorine is very harmful to the environment around the pool. You might be wondering what an eco-friendly pool is. It’s the kind of swimming pool that doesn’t harm the environment because there are no harsh chemicals used. This kind of pool won’t need a lot of energy to run either – saving you a lot of money on the electric bill. 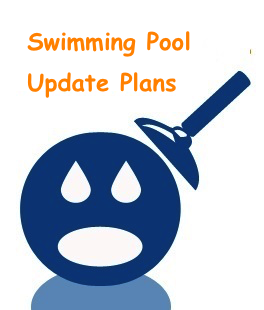 Swimming pools constantly need power to ensure there is no buildup of algae. This can cost a family a considerable amount of money each month – more so during the warmer months when the pool is used regularly. This is why many homeowners are choosing solar power to heat the pool and operate its pumps and filters. With several installed solar panels, a homeowner can drastically reduce their utility bills. It’s important to do your research at the various filters, heaters and pumps that are available for pools. Filters and pumps tend to need a limited amount of energy to run and can make sure you use even less power to handle the “maintenance and cleaning” of the swimming pool. The heater, on the other hand, needs a great deal of energy to keep the water warm especially in the cooler months. Therefore, you need to choose an efficient heater to handle the job. Many homeowners have opted for a salt water swimming pool. Although it’s a bit more expensive to install initially, this kind of pool is a more cost-effective method to pool ownership. 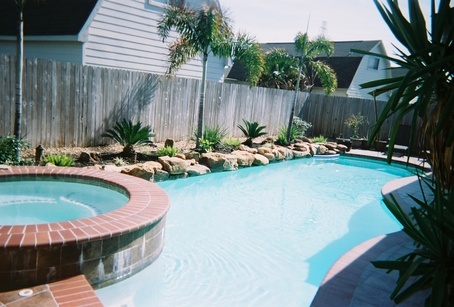 Salt water pools eliminate the need to always add copious amounts of chlorine to the pool, and decreasing the chance of a possible accident from it. A salt water pool is not harsh on both your skin and the environment. If you’re interested in an environmentally-friendly swimming pool, be sure to talk with pool building professionals to learn more.